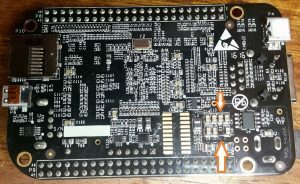 If you have a Beaglebone black and when you apply power you get a short flash on the power LED, one thing to check is if the board is damaged. We show how in this short note. It took a while but found that checking if the resistance across C15 on the bottom of the board is less than 1 ohm, the board is damaged. Resistance across this component on a working board is about 8.9k ohm. 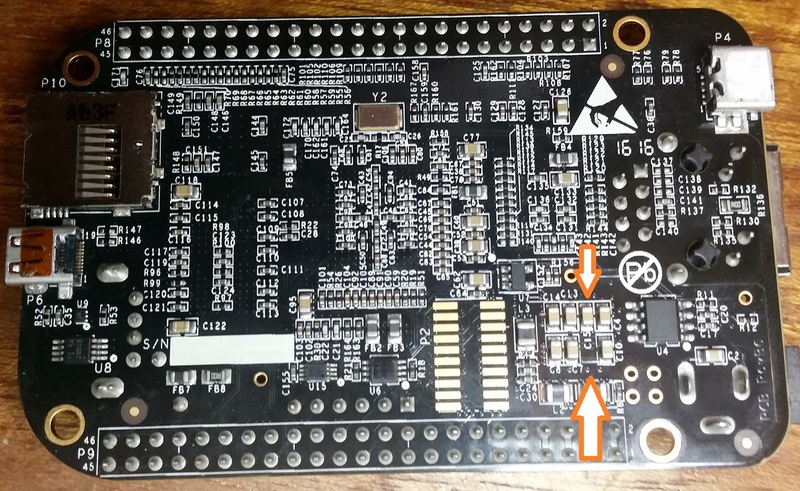 Beaglebone black bottom showing C15. If the resistance across this component (when power disconnected) is less than 1 ohm, unfortunately the board is dead. It should be about 8.9k.